Throughout the House of Hope series by Neta Jackson, Lucy is a familiar character. She's a bag lady that lives partly on the streets and sometimes at Manna House, a homeless shelter. 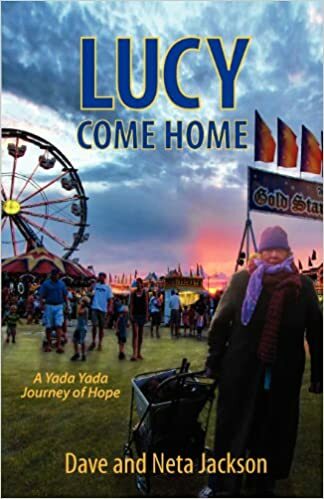 The book, Lucy Come Home, left me with mixed emotions. 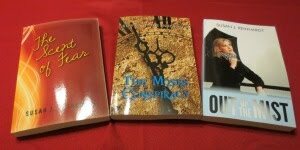 The pacing was slow and much of it was a rehash of her part in the House of Hope Series. On the positive side, the authors did a good job showing how this woman ended up on the streets of Chicago. They also dealt with the plight of migrant workers during the Depression Era. When the last House of Hope book ended, readers were left hanging with Lucy's story. I looked forward to this book, but it was just okay. I'm giving it 3 1/2 stars. I usually don't review anything under 4 stars, but I loved Neta's other books so much. At least, we found out what happened to Lucy and why she was reluctant to go home. Writers: How do you incorporate back story into your writing without it becoming a big yawn? Readers: When the promise of a good story goes bad, do you finish or walk away (or skip to the end)?